If you are using the large size pringles can, cut one third of its size. 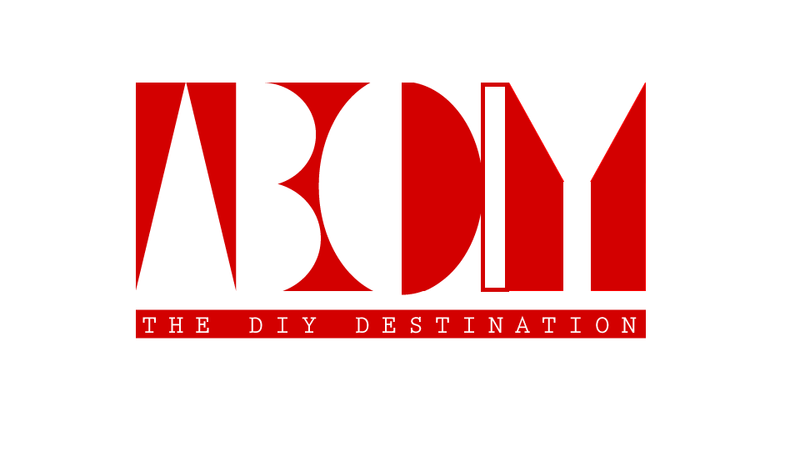 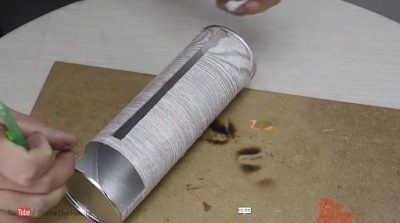 Glue the surface with a decorative paper so that its fully covered. Place the candle string at the centre and glue it in. Pour the wax and allow it to settle. 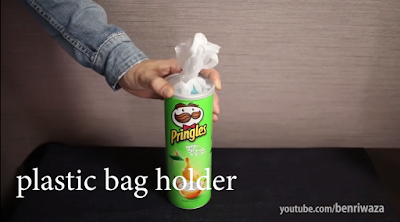 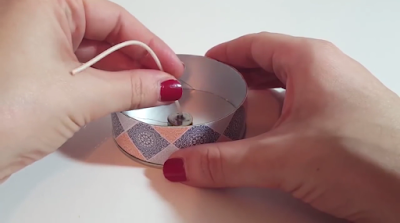 Glue the surface of pringles can with a decorative paper so that its fully covered. Pierce the pins at equal distances on the can at the top. 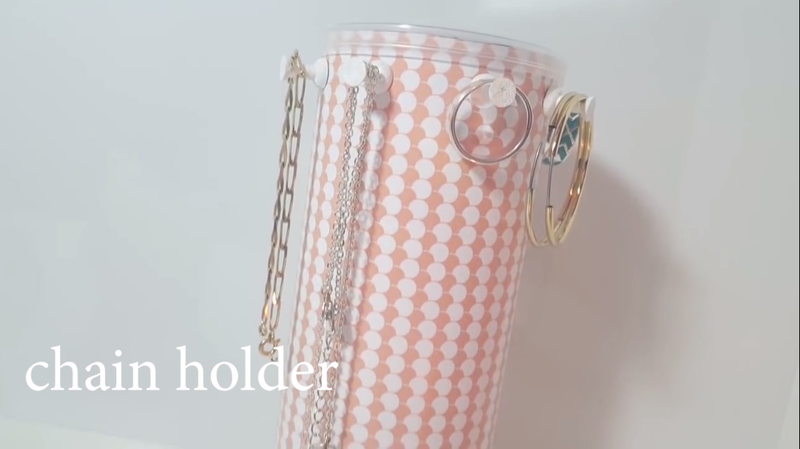 Now its ready to hang your chains and ornaments. 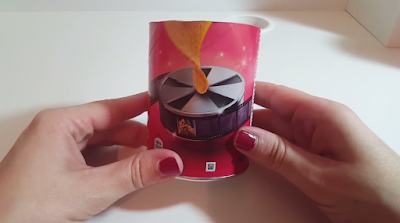 Cut the Pringles can into half. Make a small slit on the centre of the lid in order to put the coins. 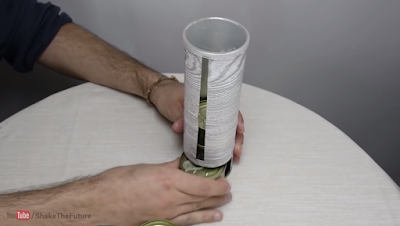 Cut both the ends of pringles can and also cut out a long strip from the can vertically from one end to the other. 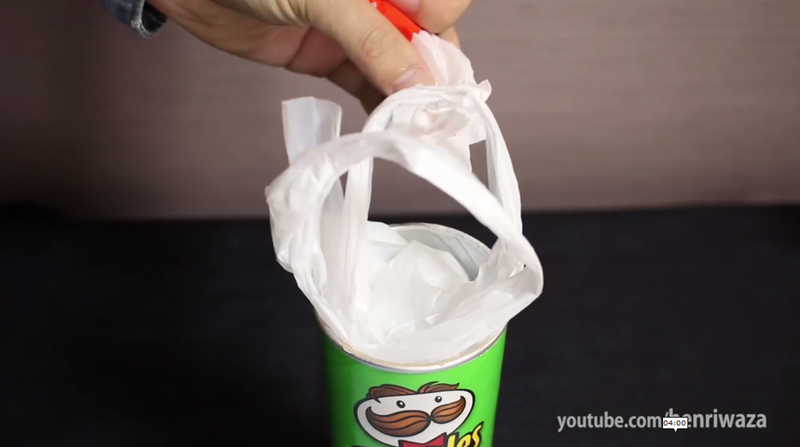 Seal both the ends with two pringles lids. 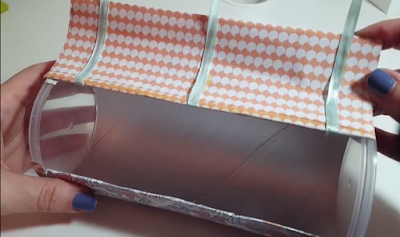 Glue three thin sized ribbons at equal distances on one side of the pringles body across the cut out strip. 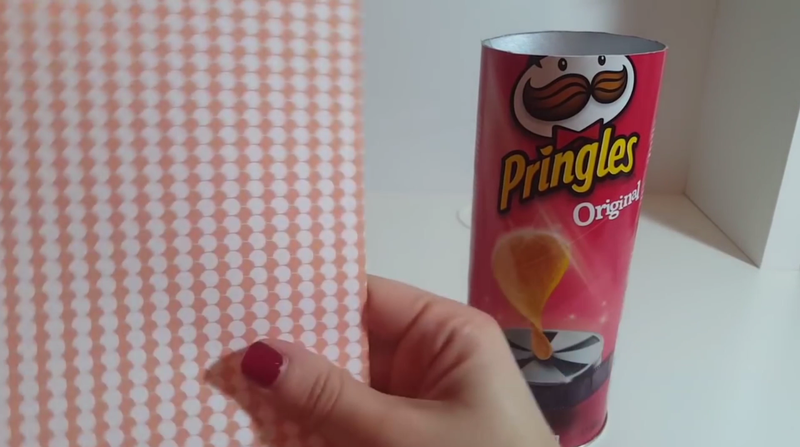 Cover the pringles body and also the cut out strip with a decorative paper for an enhaced look. 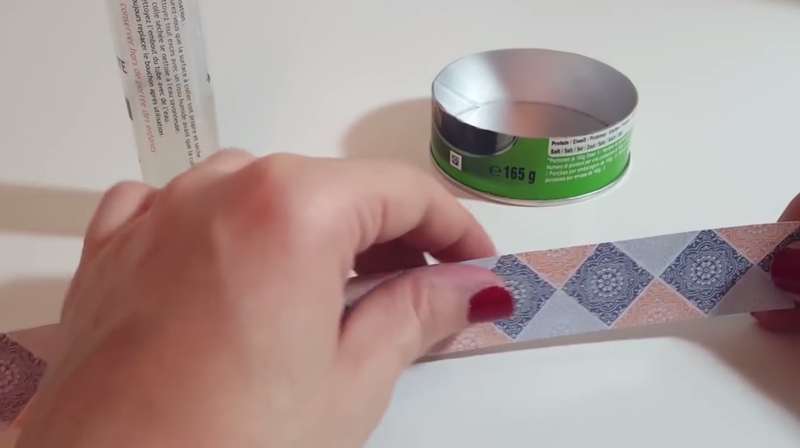 Now place the cut out strip in place and glue it on one side of the can. 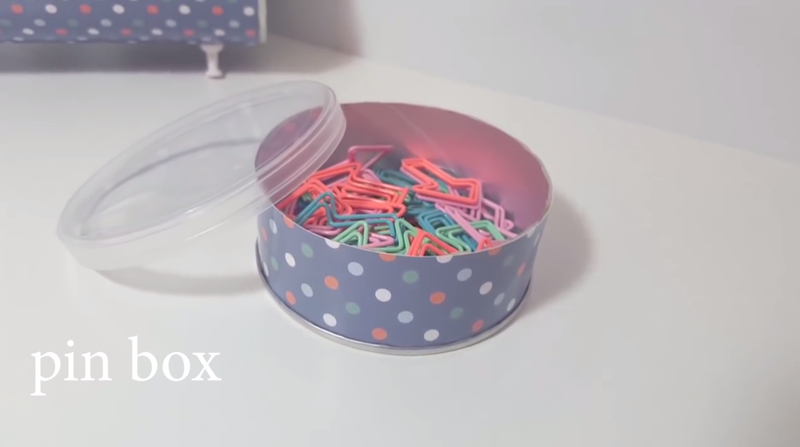 Trim off the extra ribbons. 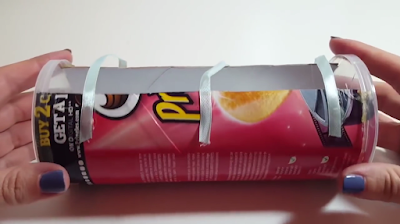 Cut the one third of the pringles can from the bottom. 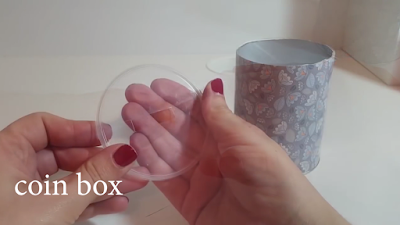 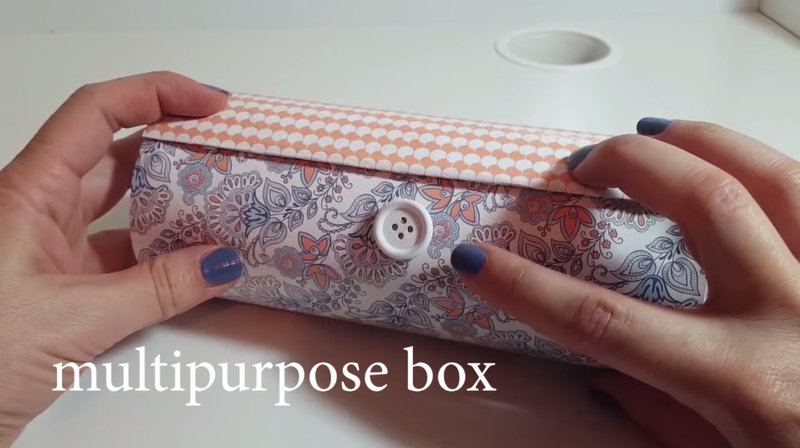 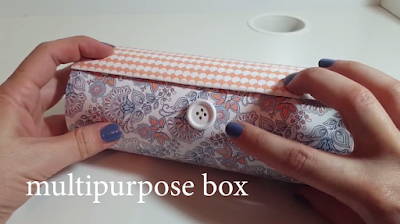 Cover the surface with a decorative paper. 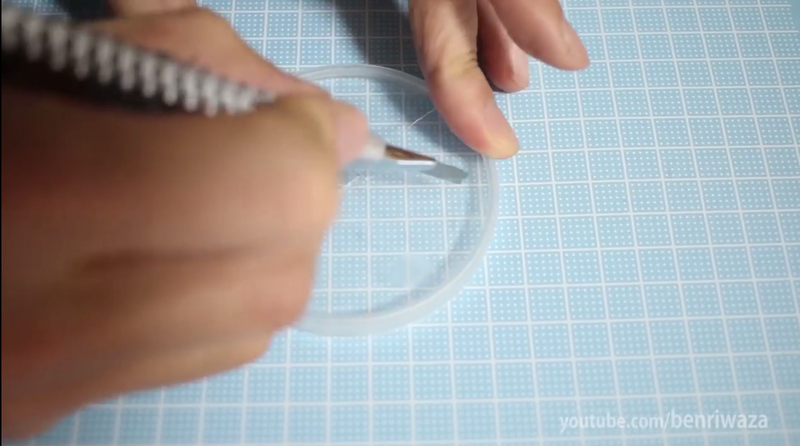 Cover the surface with any other paper. 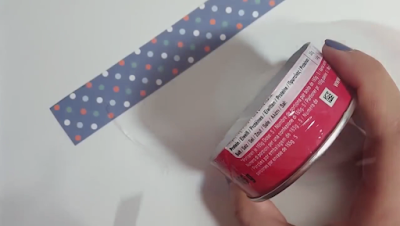 Cut two strips out of it. 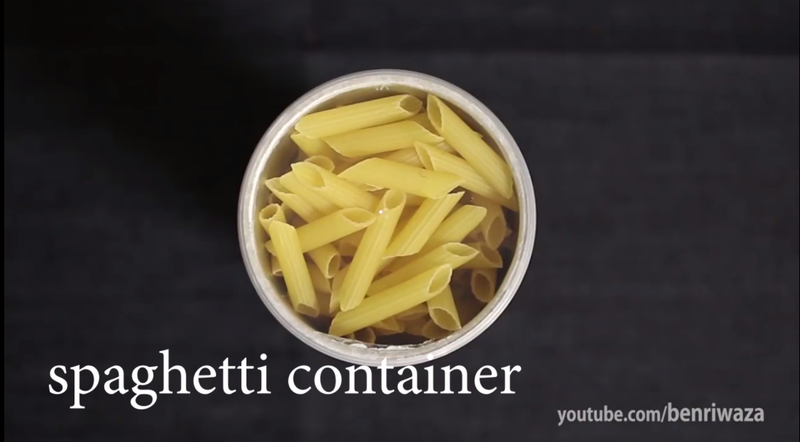 One at the bottom in the size of a tuna can and one long thin strip above that. 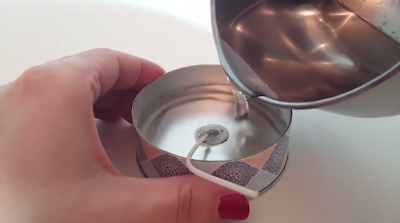 Put the tuna cans inside and pull it out from bottom when needed. 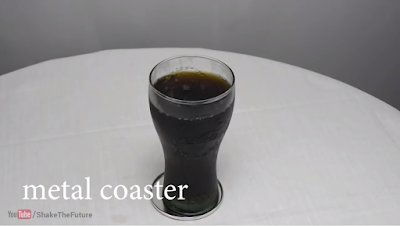 Its very simple .. Just cut out the base of pringles and use it as a metal coaster. 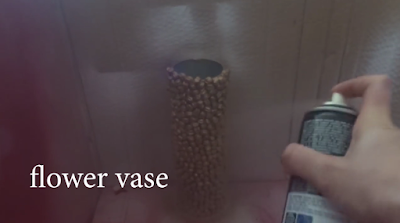 Beads or chick peas as per your choice. 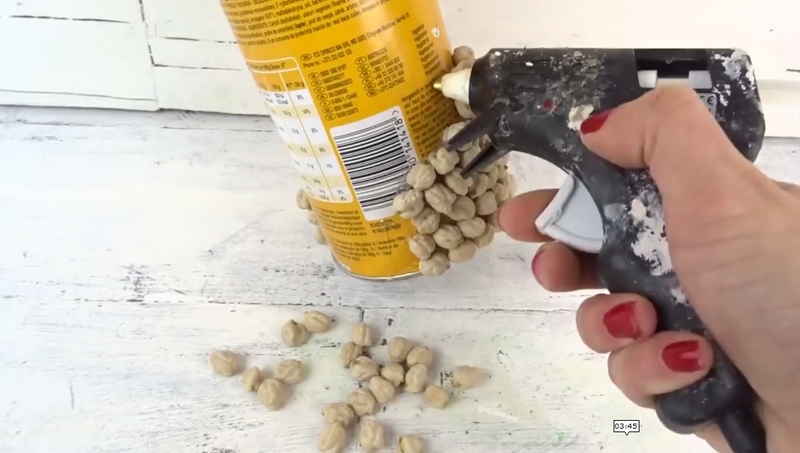 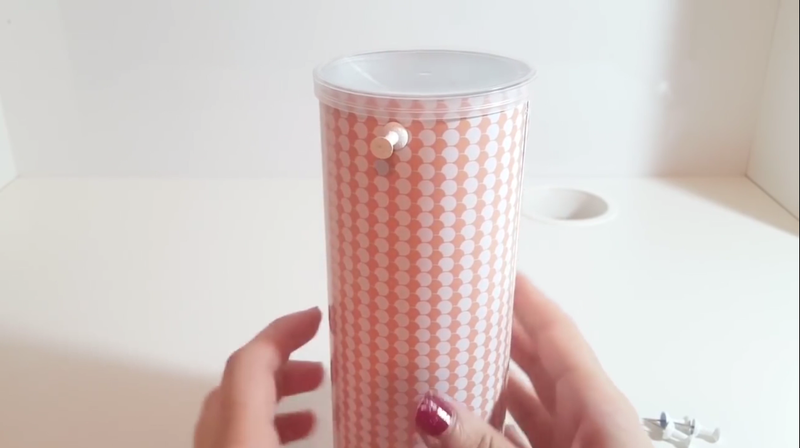 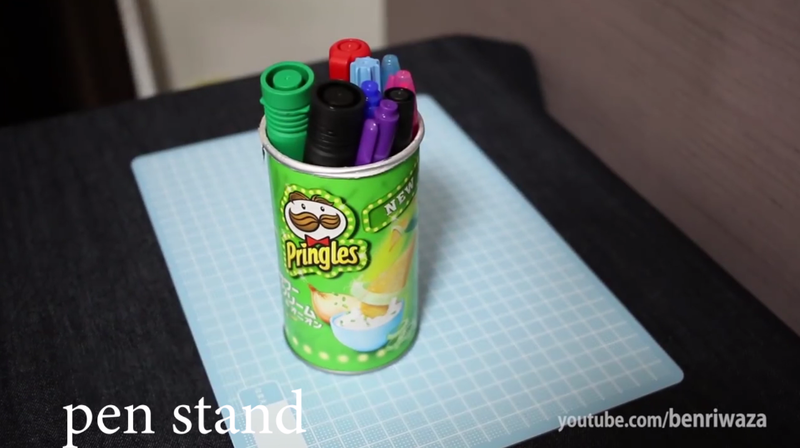 Glue the beads on to the pringles surface one by one without any gaps in between. Put the flowers of your wish inside. 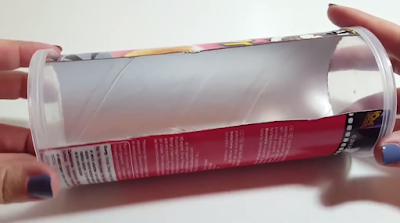 Put each plastic cover inside the pringles can one within the other. Make two diagonal slits on the lid to pull the plastic bags through it. 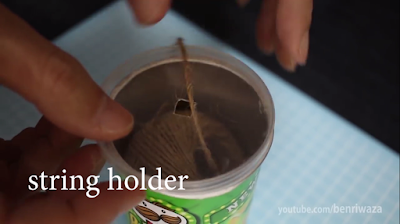 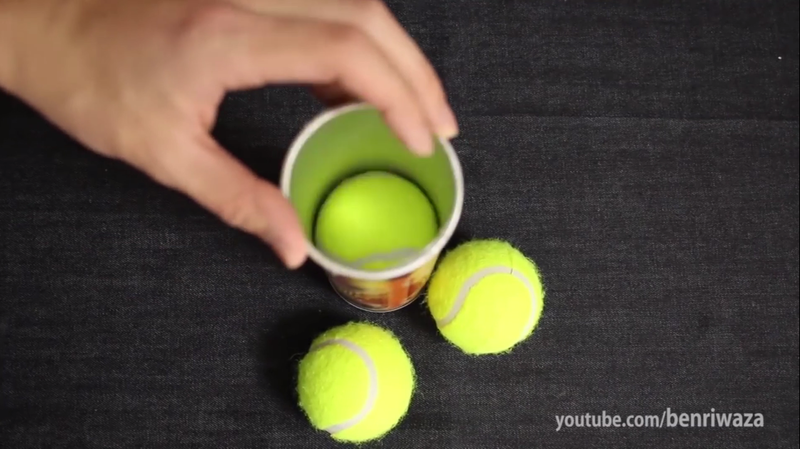 Make a small hole at the centre of the lid and pull the strings inside through it. 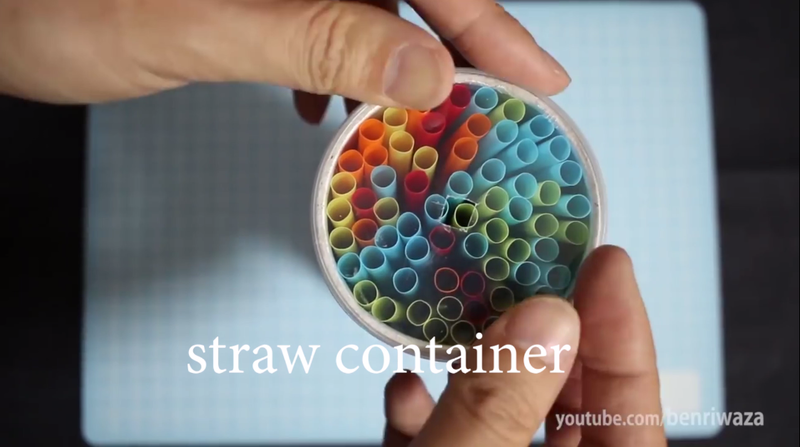 You can use the method for storing straws too. You can use the pringles as pen stands too.